How many times do we see posts like this on Rokslide, or any other various hunting forums out there dealing with first-time western hunters? The answer is a lot! At one time I made that very same post as well when I joined Rokslide. Generally, the answers you get to that question from people with the knowledge of western hunting are #1 Optics,#2 Boots, and #3 Sleeping Bag. 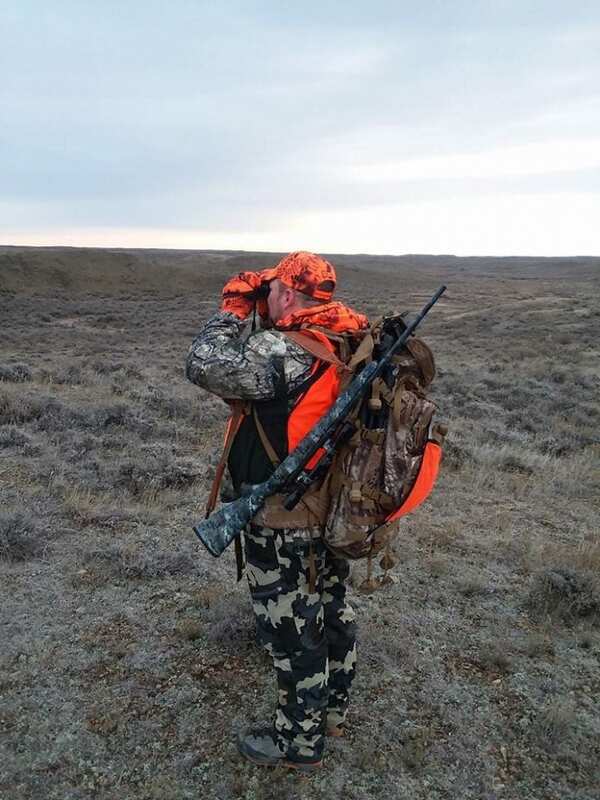 I recently completed my first western hunt, and I can tell you, that when they say optics are important, this is the absolute truth when hunting out West. In fact, optics could be in my opinion, the most important piece of gear you can spend your hard-earned money on for hunting out west. For my recent Montana hunt, I estimate we spent nearly 70-80% of our time “behind glass” looking over the landscape. Robby had done some preliminary test on these optics earlier in the spring for Vortex, a Rokslide sponsor (those video are links below) and thought they’d be perfect for my first (and beyond) western hunt. From my research, I found that there’s a lot of value in this Viper line so I was happy to plan my hunt with these on my gear list. 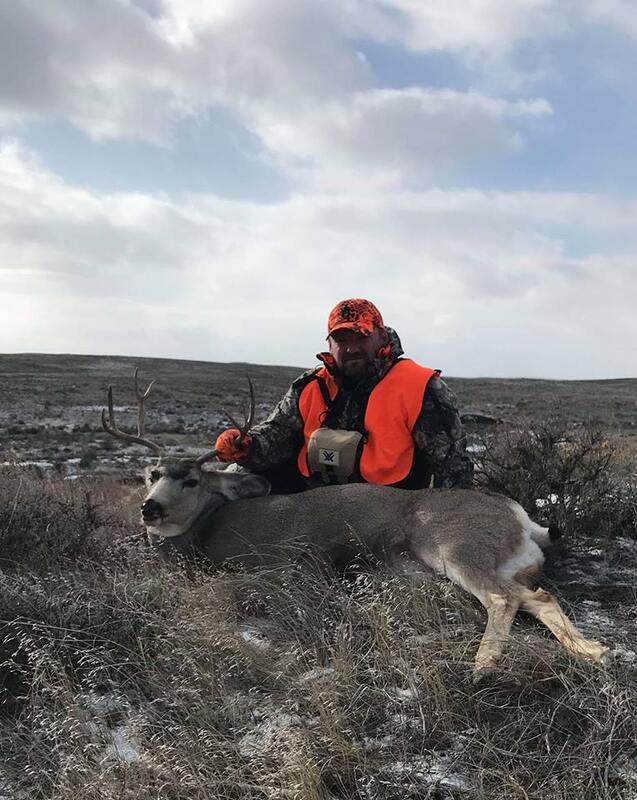 My hunt was in Eastern Montana for mule deer, considered by many to be a great “1st time” or starter hunt for out West. Fellow Rokslide forum member, Neal Lauderman, and his step father accompanied me on the hunt. The first thing we noticed on day one was how wide open the land was and how far you could see. Trust me, pictures do not do it justice. Being from east, this was wildly new to us. 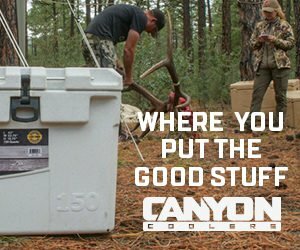 We were literally spotting mule deer miles away using the Vortex combo. This isn’t something you do in Virginia! Those deer were sometimes moving and sometimes bedded. Bedded is where quality optics come in; a lot of those bedded and hidden deer would have went unnoticed with cheap glass. 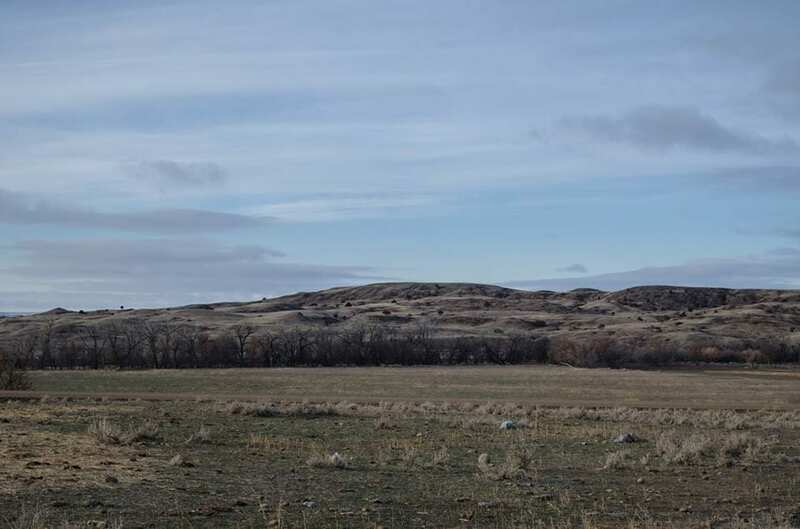 In the following photo we were spotting deer bedded on the hillside in this spot, and this is typical of the type of areas you are going to be spotting, at least in Eastern Montana. Our hunt had a lot of ups and downs. At first, it seemed every deer we would glass would take off trotting away, even if they were miles away. We wondered out loud, “How are we going to even get close enough for a decent shot at these deer.” We finally spotted some deer that were moving away from us feeding and trailed behind them until they bedded. Neal and I circled around them on the backside of a mountain and entered an empty drainage ditch to sneak closer. While glassing through the Viper HD Binoculars at about 250 yards at what we thought was the little hill they were bedded on, I spotted two ears sticking up above some sage brush. The deer were bedded. With enough cover to hide our movement, we sneaked in even closer and I was lucky enough to harvest my first mule deer buck with about a 50-yard shot. If it wasn’t for quality optics, I may not have spotted those two ears, and we would have walked right into those bedded deer, likely spooking them with no chance at a shot. The next evening, we were situated on a glassing point. Since I had already scored and confirmed that “we can do this,” Neal wanted to hold out for a more mature animal, and we were both committed to making this happen. We were watching a buck trailing some does at quite a distance through the Viper HD spotting scope. 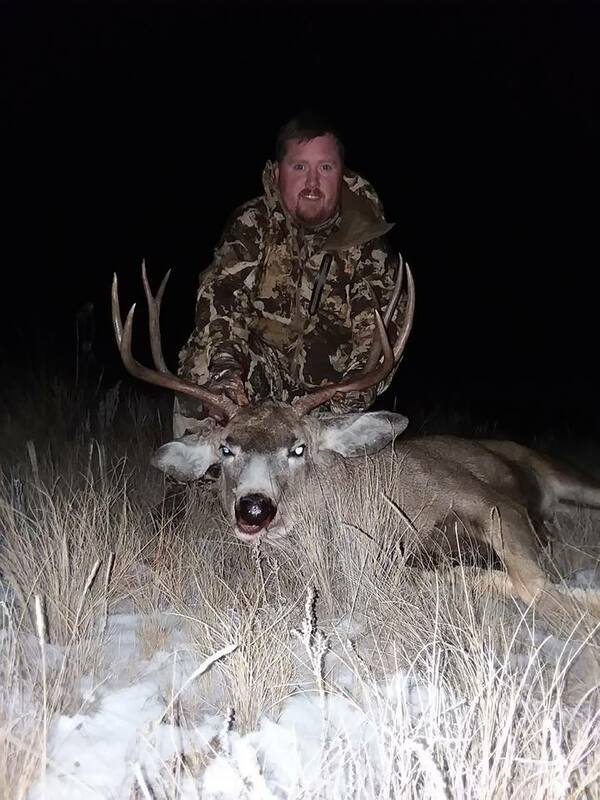 We easily confirmed, even in the twilight, that this was a more mature mule deer buck for the area we were in. We were making plans to come back in the morning and hunt the buck in the drainage we were overlooking, when three shots rang out. Apparently, someone else was either shooting at these or other deer that we could not see. Luckily for Neal, the buck we were glassing ran into the next drainage, and we were able to move quickly hoping to catch up to them. Soon, we were glassing into the drainage, when to our surprise the buck appeared just to our right. Neal took a quick shot and missed, but recovered and pulled off a heck of a running shot on this buck! If it wasn’t for being able to watch the buck with the spotting scope, we wouldn’t have really known if he was the shooter Neal was after. In my opinion, that is where the spotting scope comes in handy: being able to really examine the buck’s rack. In closing, I want to say I enjoyed the spot-n-stalk technique of hunting the West immensely. My take-home lesson was that you need quality optics to be successful. 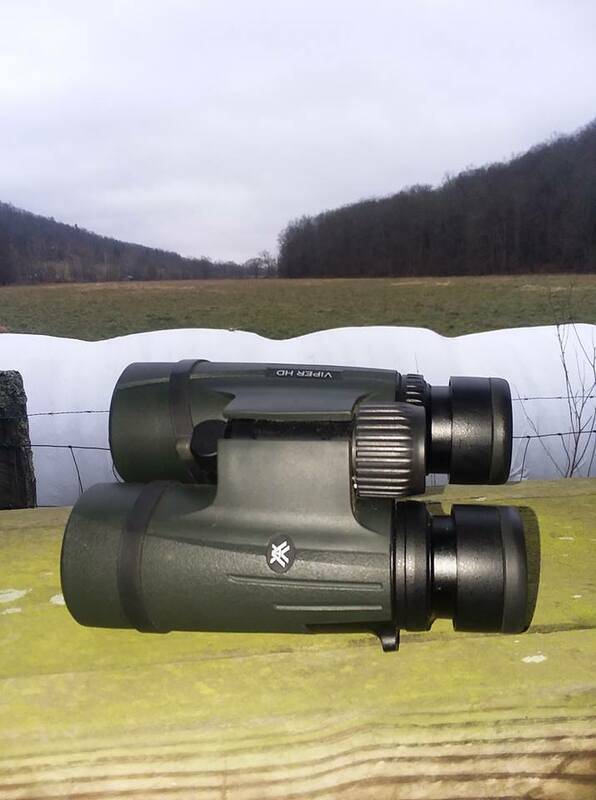 I liked the Viper HD binoculars so much that when I arrived back in my home state of Virginia and started my hunts, I carried them daily, something I had never done in the past. I now consider them one of the most important tools to use while hunting anywhere. 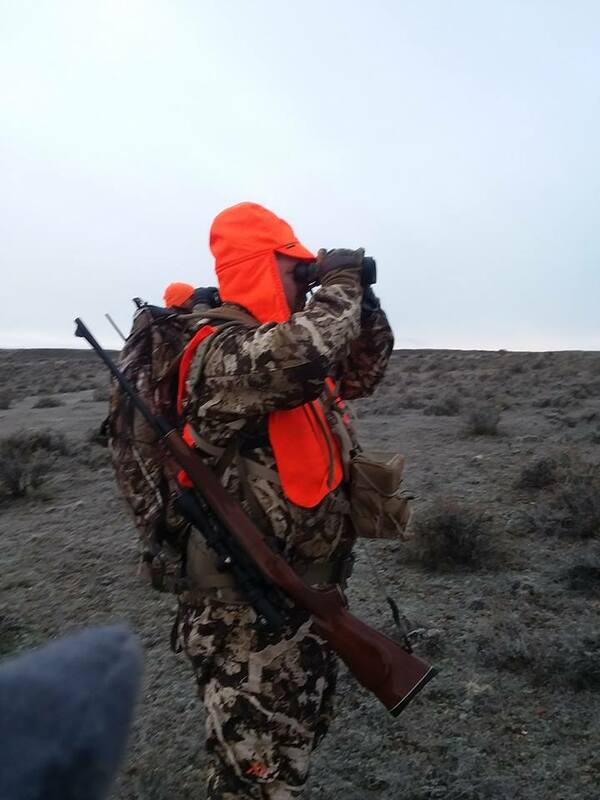 As for the spotter, while I don’t see a need for it for my style of eastern hunting, it will go with me on all future western hunts. So, if you are looking for a great set of optics for a western hunt, especially if you’re like me and going out West for the first time, I think Vortex’s Viper HD 10×42 Binoculars and Viper HD 20-60x85mm spotter LINKS HERE are a great investment, especially if you cannot afford the more “top of the line” prices for superior optics. If there is one negative to mention, one of the straps on the binocular harness began coming apart at the end of it. I knew I could have fixed it with a lighter, but I wanted to leave it be for the article’s sake. After a few more days of little pieces of thread dangling off, I ended up fixing it anyway. I haven’t read or heard much about poor quality of their binocular harness, so I would assume this is an anomaly. I will be ordering a replacement strap soon myself. Neal had a Vortex binocular harness as well and his done fine for the duration of the hunt. Robby also later mentioned that he forgot to include the neoprene case for the spotter, so I wasn’t able to test it’s function. You can comment or ask Glendon questions here. Robby Denning also has several videos on our Rokslide YouTube channel comparing the Viper HD 10×42 and the Viper HD 20-60x85mm line to some various other optics. See how the Viper line stacked up against some of the biggest names in the industry in these videos.